The US Treasury on Friday was forced to enact ‘emergency measures’ after spending its borrowed time and money. By month’s end, Uncle Sam’s piggy bank will be down to just $50 billion, US Treasury Secretary Jacob Lew warned Congress. By now, hand-wringing warnings that the US Treasury is about to go bust brings to mind the story of the little boy who cried wolf so many times that everybody eventually ignored him – much to his tragic demise. The reality, however, is that the problems gripping the US government and its profligate spending is no fairy tale: The US government will have exhausted its emergency funds by the end of February unless Congress can once again conjure up the political will and public patience to pass a new budget deal. Under the budget agreement passed by Congress in October, the debt limit was suspended on February 7. Beginning on Saturday, the debt limit goes back to its current level of $17.2 trillion. "If Treasury has insufficient cash on hand, it would be impossible for our nation to meet all of its obligations for the first time in history," Lew told lawmakers. Congress has raised the debt ceiling three times since 2011. The last risk of American financial insolvency happened in October 2013 when the Republicans forced the shutdown of the government over what they believed was excessive government spending. 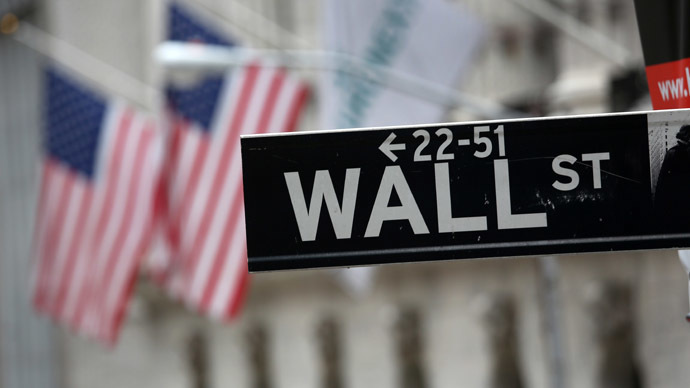 A global financial earthquake was diverted at the eleventh hour when the Democrats and Republicans passed a resolution postponing the debt. The political showdown left the United States with the economic equivalent of a black eye: Its first credit downgrade in history. This time around, the Treasury Secretary warned, US politicians don’t have the luxury of time on their side simply because the US Treasury is spending more money than it is receiving. To further the burden, the US is heading into its annual tax season, when the Internal Revenue Service (IRS) will start paying tax refunds. 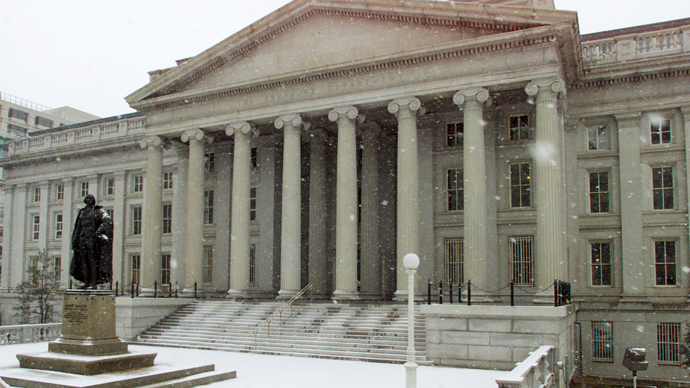 The Treasury may be forced to take extraordinary measures – like suspending investments in the retirement funds of federal employees, for example – that will certainly attract public criticism. 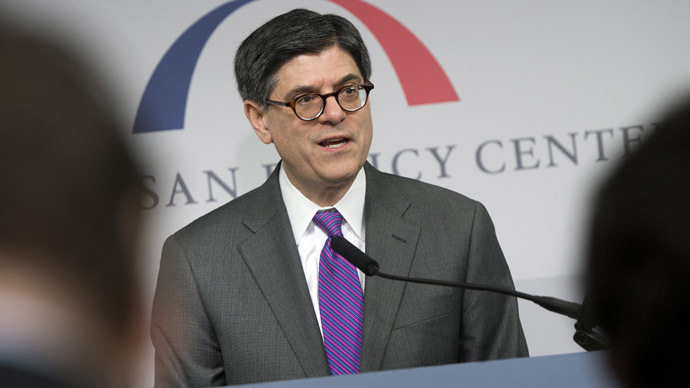 Lew did not provide any clear indication as to when the Treasury will exhaust its borrowing capacity. "Based on our best and most recent information, however, we are not confident that the extraordinary measures will last beyond Thursday, February 27," Lew said. "At that point, Treasury would be left with only the cash on hand and any incoming revenue to meet our country's commitments." 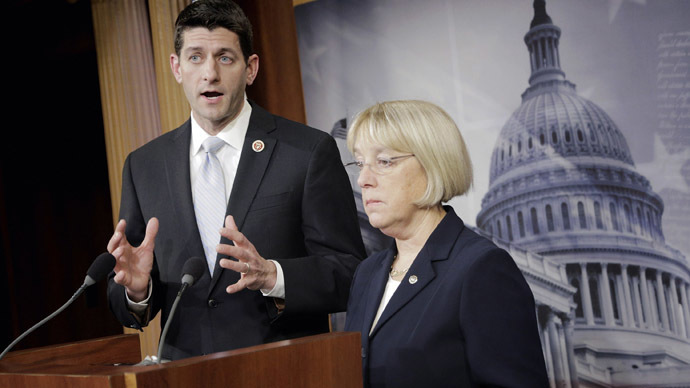 Senate Budget Chairwoman Patty Murray, D-Wash., incited partisan bickering when she called the approaching deadline "another round of Republican debt limit drama." "We're now at a point when the Treasury Department will have to take extraordinary measures to ensure the United States can continue to make the payments it owes, including Social Security checks and even tax refunds," she said, as quoted by USA Today. "There's no reason to drag this out any longer." The Obama administration has said the issue is not up for negotiation. "Our position has not changed: President Obama will not pay ransom in exchange for Congress doing its job," White House spokesman Jay Carney said on Friday. A group of corporate executives urged Congress in a letter to pass a debt limit increase to avoid any unpleasant surprises in global markets. "Any default by the federal government on its debts would cause devastating, long-lasting effects for all Americans," AT&T (T.N) Chairman Randall Stephenson and United Technologies Corp (UTX.N) Chairman Louis Chenevert, two top officers of the Business Roundtable, wrote. Republican House speaker, John Boehner, promised that the February-27 deadline will be met. “Look, we do not want to default on our debt, and we’re not going to default on our debt,” he told reporters. Many experts agree that the Republican Party is so unfocused in terms of what concessions to demand from the Obama administration that a bipartisan agreement may be its best option.